When it comes to tailoring the silhouette is all about the slouch, bringing a bohemian feel to even the smartest suits. 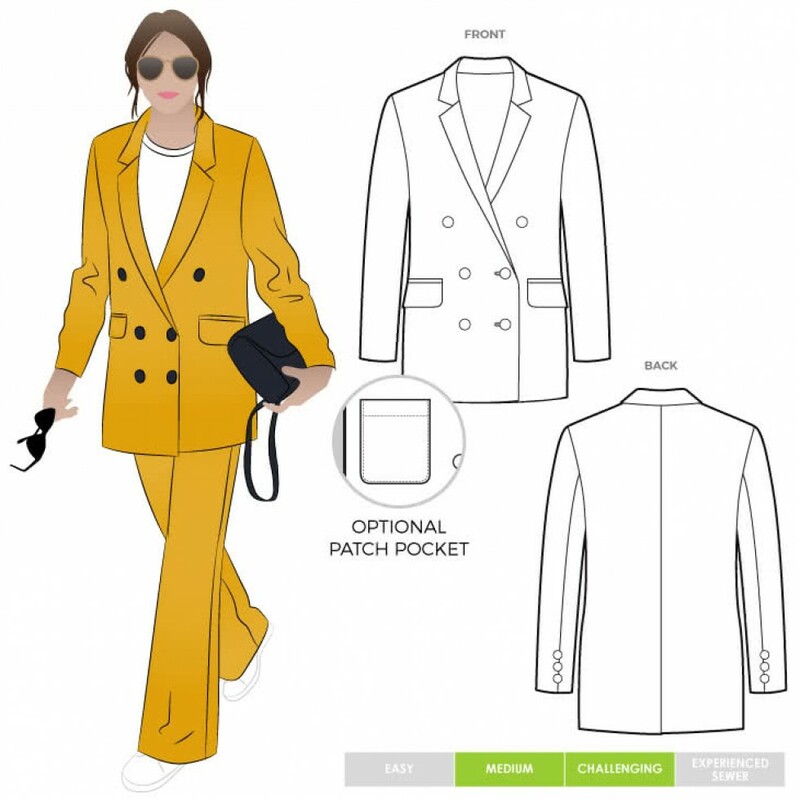 This long line blazer pattern includes a full lining pattern but it is designed so that it can be made without a lining if you choose. 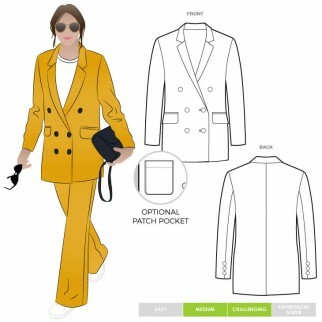 There is also the choice of either a lined patch pocket or a double jetted pocket with a pocket flap. This blazer is so versatile and suitable for all occasions. Wear it with your favourite jeans and sand shoes or dress it up and head out to dinner. These are multi sized nested patterns printed on 60gsm paper. There are two size ranges available for each pattern. Seam allowances are included. Please note, Style Arc sewing patterns come with limited instructions and assume some sewing and pattern knowledge.